Ours is a Voluntary organization, established to spread the habit of writing ‘Rama Nama’ in the devotees. It is serving the Rama devotees since 32 years as a registered organization. We distribute Ramakoti Nama books at free of cost to the interested devotees and collect back the books after writing. 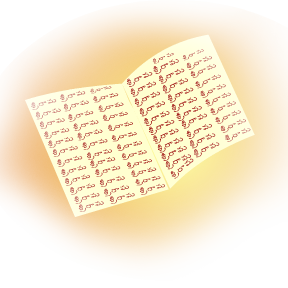 In each book of 80 pages 50,000 Naamas can be written in orderly manner. We maintain the account of each devotee regarding number of books written and place the book in ‘Ramakoti Stupam’ constituted in Ramalayam, New Nallakunta, Hyderabad.